Welcome to the Roto-Rooter complaints department brought to you by HissingKitty. Experienced poor customer service? We make it easy to file a formal complaint against Roto-Rooter online. Simply use our free form and your feedback will be instantly forwarded for review. Need to contact the Roto-Rooter corporate office? We have the mailing address, phone number, and email address listed below. On 10-9 we had a back up. Called Lakeland FL, they were prompt getting there. They ran camera spotted a clog cleared. On 10-20 happened again, came out next day ran camera said we had a belly pipe, as I understand is uncommon for PVC but can happen. Called a new plumber for an estimate to dig up slab if necessary. They of course ran a camera first. There are 2 baths and washer running to wye. Apparently the Roto guy only ran through the same side each time which showed clear. When new plumber ran them ALL he found a clog in the other side. So, we paid them to clear the clog. It cost us $450 to Roto and $250 for the other plumber (Stuart Plumbing, Lakeland Fl) to clear the line and they have uploaded the video so I can clearly see the wad of paper. If they can provide the same service at $250 that Roto charged $450 for I am asking that I be refunded $200 which means I pay each of you the same price, Roto for half of what was needed and the other plumber for the other half. $200 is actually less than half but I understand things happen and I want to be fair, and be treated fairly. My phone number is 770 468 7003. I had a major sewer problem and roto rooter fixed it and they were very professional. However I have been trying to contact my mortgage company and they always give me the run around. Now mikey fiorio says he is calling a lawyer Monday to put a lean on my house. Roto rooter said the mortgage company sent out a check which we never received. One mikey florio made a wise crack that I was out shopping meaning I spent money on the check which I never received. I was told it was never was cashed and they no it has not been. It is not my fault my mortgage company is incompetent. A real professional does not harass a 75 year old woman. My main complaint is with mikey florio. Thank you. I have called Chase Bank and stopped payment. (INVOICE No. 203712 - $94.99 / 8/13/2018) after speaking with other plumbers. Apparently my request was entered too late and I have a $94.99 existing charge on my account. SO HERE I AM EXPECTING – AND DESERVE – A REFUND. Something is blocking my basement drain. I am not sure what it is – but I suspect something fell down the pipe. At least ten or twelve years ago. But, up until now, has not obstructed water from passing thru. I had a basement flood maybe eight years ago and the water drained past the ‘unknown object’. I have had a dehumidifier draining into it the last three years – without any flooding what-so-ever. That unknown object has been in there for years (at least ten, maybe twelve) and water has bypassed it successfully all these years. But I suspect the accumulation of incidental debris has clogged the gaps around the obstruction over time. I discovered standing water a couple of days ago (8/12). My dehumidifier water was not draining. I could ‘wiggle’ the object – but could not hook it or reach it with anything to grasp it. And I made the mistake of calling Roto-Rooter before I read the reviews. Not good. This guy who was dispatched validated every complaint that I have read. He kept escalating his ‘estimates’…. Then his ‘service estimate’ went up to what presented the impression of prize money! “And if I can’t it will be $94.99……” ??? There was NEVER any expression of reluctance or doubt or the unlikelihood of an inability to remove the obstruction. Or the possibility of making matters worse. And I had the impression and belief that he knew how to remove the object. So yes, I agreed to let him proceed and would have been willing to pay the higher costs once the object had been removed. But his first effort was to fish for the object with a coat hanger that I had used previously 100 times. And it was lying next to the drain!!! MY COAT HANGER! (How unprofessional!) In this day and age I would expect some higher level of process, expertise and technology. AND, if nothing more, at least A WARNING THAT HE COULD MAKE MATTERS WORSE. Then he tried a tiny flexible magnet – which I have also tried. I have two of the same flex magnets and yes, I tried that as well…using BOTH flex magnets in tandem. But before his ‘work’ - I could at least wiggle it. It was not jammed – just lying at the bottom of the verticle pipe. It was approximately 14” to 15” straight down. He never used any camera to assess or possibly identify the blockage. He never opened the main drain access to try to come in from behind the blockage. I would expect, and as I have been told now, these would be basic primary efforts. He never cautioned me that he could make matters worse. Which is exactly what he did. He begrudgingly decided to get his power snake “I don’t think this will do any good – but I’ll try it.”) ??? And that’s when he offered the ‘prize money’ quote. His stated approach was to “drive the object into the main” – which logically suggests it will then be lying in the path of my main. How will that help? Then it will become an obstruction in the main! ? Then he says I will have to have the whole thing dug out and he could not provide an estimate. He said that 2 x 4 framed walls would have to be torn down and a jackhammer would have to be used. !!! He said someone will get back to me today (8/13) or tomorrow (8/14). This technician displayed an apathetic and negative attitude from the moment he arrived. It seemed as if he was just going through some poke-and-hope motions and acted as if he didn’t much care. It felt as if his approach was half-hearted effort and that his apathetic and layman approach/results would simply be passed up the ladder. Very disheartening and unacceptable work. While he was here maybe an hour – he sent most of his time repeating efforts that I told him I had already tried. (Coat hanger and very tiny magnet). Then ten minutes getting the snake out of his truck and into the basement. Maybe fifteen minutes of simply driving the ‘object’ deeper into the drain with the power snake. Then calling it quits, and returning the equipment back into his truck and writing up the invoice. I find this totally unskilled and unacceptable. Using a coat hanger? And a tiny magnet, that is normally used to fish a small object out of the kitchen drain. Incredible. I sit here wondering if a twisted coat hanger is state-of-the-art standard Roto-Rooter equipment? I have previously been able to at least wiggle the object – but not retrieve it. NOW it is deeper and solidly jammed somewhere further down – as he himself stated. And it does not even wiggle now. He just kept jamming it further in with the power snake. At that point, he just gave up and wrote an invoice. Which took another ten minutes of that hour. $95.00 to NOT fix something – and in fact, make it much worse seems contrary to ‘services rendered’. I paid for it – but after speaking with another plumber I can see only a haphazard, unskilled approach. Reckless and unprofessional approach which ultimately made matters WORSE! Now I may be looking at a major expense! – when this could have been resolved with a little more innovative and alternative approaches. Or at least the honesty in stating up front the unlikelihood of drain clearance. But he just forged ahead. While yes, I did agree to pay the higher service charge if he did remove the object – I did not expect him to make matters WORSE by driving the obstruction deeper into the trap! I tried to stop payment - but my message to my bank was apparently too late. Therefore I expect and deserve a refund. If I do not receive a refund I will continue to escalate this performance and charge accordingly. I have written this complaint to RotoRooter once. And that he had passed it along. No one has replied. I called to have a clogged drain fixed got a quote of 169.00 to fix it. The man came and spent almost three hours trying to fix the clog from the garage sink then had an argument with my husband because he wouldn’t try to clear from the kitchen . Then he tells me he won’t charge me the full amount and instead charges me more ,225.95 I have paid more money and nothing fixed.the next day I have a real plumber genius plumbing fix in less then an hour thru the the kitchen we are seniors and feel this is no way to treat people. Will not use again and have told every one we know not to use this company for anything. Called for a quote to have a drain reinstalled for a washing machine outside of my house, like was there 2 yrs ago when I bought this house, like at least 75% people have in Hawaii, Eddie shows up is there for 3 min. Say Nope Rotorooter won’t do that for you.” Still waiting for a call back on WHY. This should have been easy 2 hr max job quote. Instead I’m getting jerked around. Never had a problem with Rotorooter before. Wow. Our basement flooded from roots in sewer pipe. Worker said roots from Redwood 9ft from our sewer line on our property. Then came multiple root clogs, flooding, root augers, clean out installed. Told roots enter seams destroying them seeking water.then root clog so bad rotorooter excavated my driveway and replace damaged pipe. Paid rotorooter thousands.after informing neighbors they called local rotorooter multiple times a day. They were then SENT A LETTER STATING WORK DONE WAS BECAUSE OF BAD PIPE. I forgot to mention camera ran multiple times. Told had years and years left in pipe. That letter was used in court against us. Right now I'm in tears. My phone 541-404-0746. And there is more. A Roto-Rooter plumber broke a pipe trying to rod a sewer line on Saturday night. He was unable to fix the problem after 2.5 hours of work. He was not licensed, at my home until 9 PM Saturday night and confirmed with dispatch there would be a licensed plumber between 8 am and 10 am Sunday. At 1:50 Suday I received and invoice for $812 to fix the problem created on the original call- he also said I could voice my concern about the damages to my home as three carpets and the sub flooring of my kitchen sink were damaged. I have called the Lombard Illinois corporate office at the phone number 630-519-6710 5 times today to voice my issues and was assured I would receive a call back from a manager to address my concerns and bring resolution to our plumbing problem as we have no water and sewage leaked and is continuing to leak in my basement. The Chicago offices are not returning my calls or addressing the plumbing issue. I was told "that is what happens when you sign a "hold harmless' agreement". As of 4:45 PM Sunday nothing has been to fix a problem created by Roto Rooter Inc. I have multiple lawyers at my disposal but have tried to handle this with professional decorum at the local level. 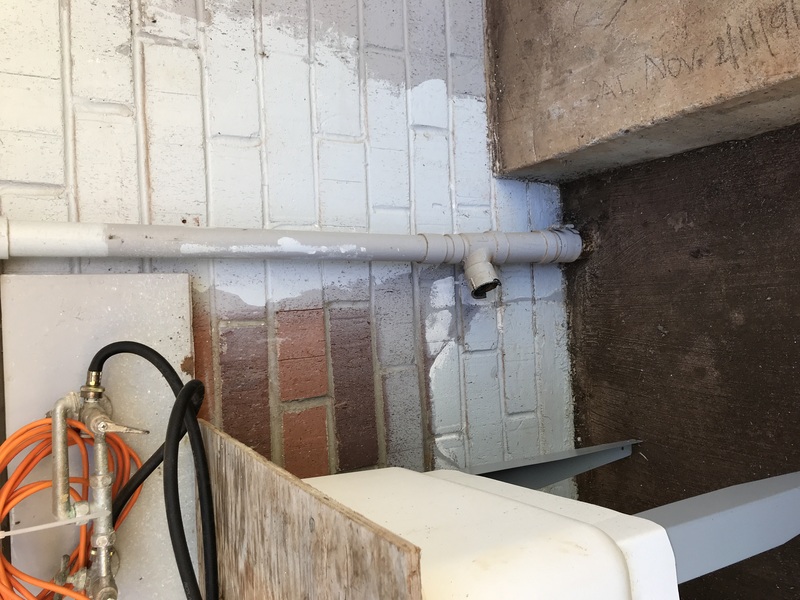 I had an issue with the drain connection of my kitchen for more than a week. We then contacted Roto-Rooter and they did the best job. The plumbers came in on time and fixed the issue. That is not all, they gave a 6 month fix to the problem and ensured that nothing would go wrong before that for sure. Roto-Rooter ensures that their people come on time and fix the issue and complete the task in a neat manner. Good job by these guys. I think one can call them in future as well. I liked the fact that they cleaned the entire place after the work and kept it very neat without troubling me.